Where are you from? The UAE. What do you do here? I’m the co-founder and Managing Director of Cinema Akil. What exactly is Cinema Akil? It’s an independent cinema platform that brings quality films from across the world to audiences in the UAE. Showcasing directors and filmmakers from across the decades, it aims to create more awareness and interest in film and the cinematic arts. How long has it been going? It was launched in 2014, and we’ve had a number of pop-up programmes since then, around Dubai and the UAE. Our first pop-up programme was at The Third Line, in Al Quoz, in the summer of 2014. That summer, we also showed films during Market Outside The Box, in Downtown Dubai, and during the Outbox International Short Film Festival in Alserkal Avenue. What inspired you to start it up? For the love of film, and all the conversations it drives. I thought that the people of the UAE needed and deserved a place like Cinema Akil, and I wanted to be the one to do it. What kind of films do you show? Arthouse films, independent films, world cinema and animation – basically, festival films that you wouldn’t get to watch at the conventional multiplexes here. We also show short art videos, documentaries, experimental shorts and fashion films. In May this year, we had a special fundraiser to raise money for victims of the Nepal earthquake, in which we screened the Nepalese feature film Highway, by Deepak Rauniyar. This summer, we started showing films in Sharjah, in collaboration with the Sharjah Art Foundation, with a series of sci-fi films. We recently started Yard Films, a monthly world cinema classics programme in collaboration with Alserkal Avenue, and we also had a special hip-hop programme recently in collaboration with Sole DXB, called Films on the Court. That included the Middle East premiere of two of the most important films on hip-hop culture – Fresh Dressed and Stretch And Bobbito: Radio That Changed Lives. The screenings were followed by a Q&A with hip-hop radio legends Stretch Armstrong and Bobbito Garcia, which was moderated by Dan Greenpeace. How long does it take to organise and plan the Cinema Akil film schedules? Longer than you’d think! It depends on the duration of the programme, but an average of around two to three months is required for an extended programme. What kind of people come along to the film screenings? All kinds – we’ve had people bring their kids and their dogs to some of our screenings too, so that’s nice. We get cinephiles coming along, we get families, we get students, we get the art crowd, and we get the fashion crowd. It usually just depends on the film and the programme – anyone interested in the concept or what it’s about will come along. The more diverse our audience, the better, I think. How long have you been interested in film? Probably since before I was even born. What’s your favourite film? I don’t really have a favourite. But two films that I love are A Time for Drunken Horses by Bahman Ghobadi and The Prophet by Jacques Audiard. Have you ever made a film yourself? I produced a short film called Letters to Palestine, in 2010. I would like to do it again. Do you show many films by people based here in Dubai? Yes, whenever we can. We recently had a test screening for Undocument, which was produced by the Dubai-based filmmaker Khalid Jabaly. And we’ve also screened Nepal, a short film by Lafi Abood, and Nawaf Al Janahi’s short film Mirrors of Silence. Is there much of a film-making scene in Dubai? It’s certainly growing, and we’re hoping that Cinema Akil can be a conduit for it. Favourite place to catch up with friends? Somewhere outdoors, whenever possible. Favourite club or music event in Dubai? Sole DXB. Favourite international DJ or band? I love Erykah Badu, Lauryn Hill, Tinariwen, Gripin, Fayrouz, Alsarah and The Nubatones, and other bands and artists like that. Favourite Dubai-based DJ or band? 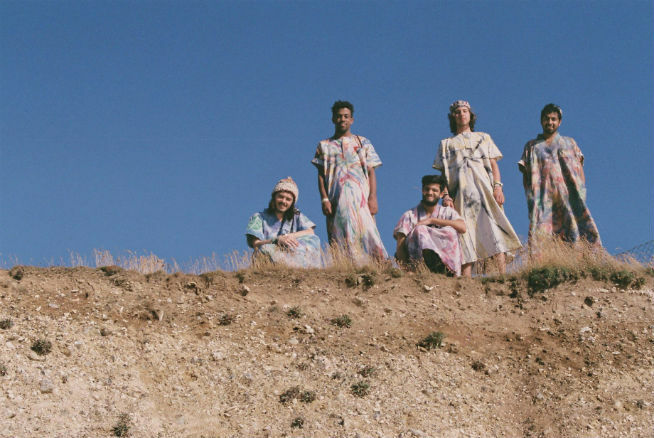 Flamingods. What’s the secret to success here? Staying rooted and grounded. Top tip for getting the most out of Dubai? Avoid all the malls (well, except Mercato – I like Mercato). Walk around if you can, and try talking to people. What’s next for you? More and more love of film. Our goal this year was to have an event every single month of the year, and we’ve achieved that. Next year is going to be all about getting to other Emirates, and possibly to other Gulf countries. Check out Where We Dwell at A4 Space, Alserkal Avenue, Al Quoz 1, Dubai, every Wednesday, Thursday and Friday, 7pm (until the first week of March 2016). The films in this series are all about home and belonging, taking a closer look at how we live, and offering an array of different perspectives. – For more on Dubai’s music, lifestyle & club culture straight to your newsfeed, like Hype on Facebook.